In academia, email continues to be our primary means of communication. Since this is where we spend most of our working hours, it makes sense that we use email to keep our lives sorted. For email messages I want to follow up on, I forward them to followup.cc. 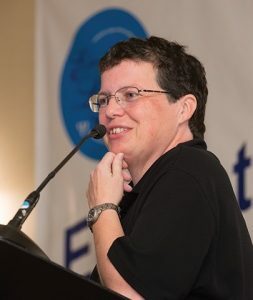 For email messages I need to do something with, I forward them to Trello, my preferred task management system. 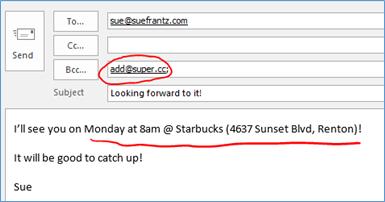 And this is why I’m excited about the newest addition to my email arsenal: Super.cc. 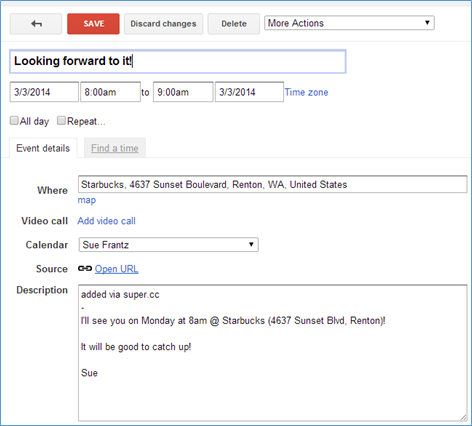 Now I can use email to add appointments to my Google calendar. 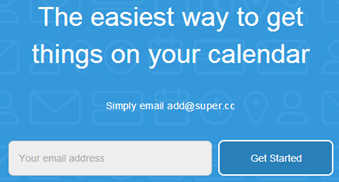 Go to Super.cc, and enter your email address (you can add more email addresses later), and give Super.cc permission to add stuff to your Google calendar. Now you’re ready to go. Send your email message to add@super.cc. In this example I have written the day of the week (I could have said March 3rd), the time (I could have included the time zone), and the location (expressed as “@ location”; if it’s a notable landmark, Super.cc will look up the address. Or you can enter a phone number for location as @ 800-555-1234). Here I’m setting up a time to get together with myself. If I were reading an email someone had sent me, I could forward it to add@super.cc. Super.cc does a pretty good job digging the time and date out of the body of the email. Within seconds, I got an email confirmation from Super.cc with the appointment information in it, which is nice to see, but the magic is my calendar. 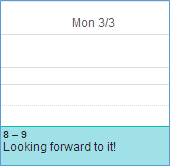 In Google calendar, I can see that the appointment has been added to the next available Monday, March 3rd at 8am with a default meeting length of one hour. The subject line of the email message becomes the subject line of the appointment. 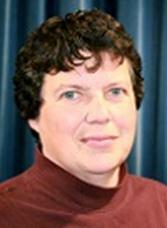 This is what the appointment itself looks like. The location was automatically added to the “Where” field. The description contains what was written in my email. This is one of those tools that’s going to slip right into your workflow. You’re going to wonder why it ever seemed normal to open up your calendar to add an appointment. Super.cc is a new product, so keep an eye out for added functionality. They’ll email you with new features, but you can always check in on their FAQ page.